Compliance is not a dirty word. It is, on the other hand, vague. DevOps and IT pros know that narrowing the scope of compliance is a critical step for an organization. That said, not every company is subject to compliance regulations. Many are, however. If your company is, then use your compliance as a competitive weapon to improve your business. One area of compliance that all companies should take seriously is PCI, or the Payment Card Industry Data Security Standard, a set of requirements designed to ensure that all companies process, store, and transmit credit card information in a secure environment. Leveraging JumpCloud to manage user access and control to the servers in your organization’s data environment (CDE) will not only manage and track all user access but will also ensure that all passwords are PCI compliant, all access is logged, and privileged commands are tracked and analyzed. Until recent years, companies used Microsoft Active Directory / Exchange as their one central user store, but the management headache has rendered the AD/Exchange solution replaceable because changes are constantly made to Active Directory — and it’s these changes that must be made in a compliant fashion. Ensuring changes to AD/Exchange are compliant requires an increased in the overhead of the IT team and, at the same time, the potential risk to the overall organization. JumpCloud® eliminates the need for an Active Directory / Exchange server, enabling your organization to be more PCI compliant, by centralizing the management of users and control settings to the CDE servers. 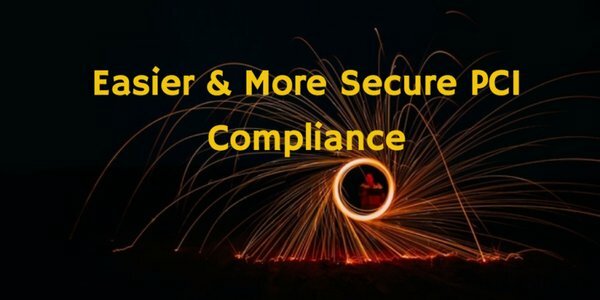 Want to learn more about how to achieve PCI compliance? Drop us a note, or try JumpCloud’s Directory-as-a-Service® for free to see how our solution makes compliance management easier and more secure.